The Quadro P4000, powered by NVIDIA’s Pascal architecture, provides the power and performance required by demanding visual computing workflows. 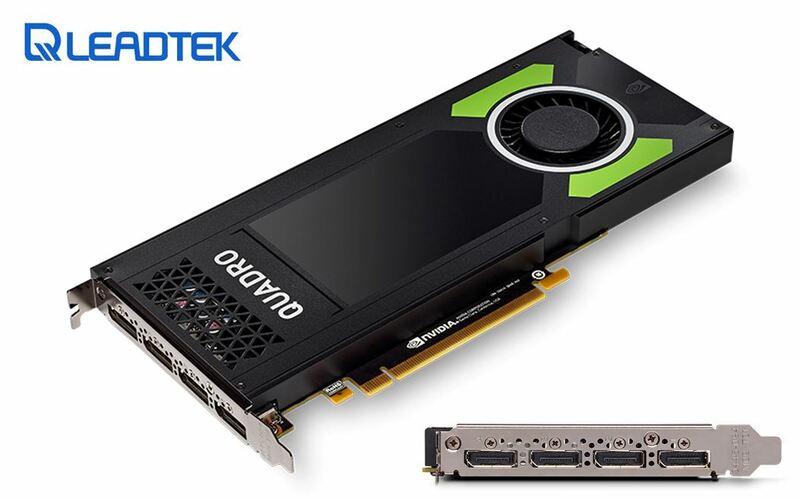 This next-generation product is based on NVIDIA Pascal architecture and delivers up to 70% more performance than the NVIDIA Maxwell™-based Quadro M4000. The NVIDIA Quadro P4000 combines a 1792 CUDA core Pascal GPU, large 8 GB GDDR5 memory and advanced display technologies to deliver the performance and features that are required by demanding professional applications. The ability to create an expansive visual workspace of up to four 5K displays (5120x2880 @ 60Hz) with HDR color support lets you view your creations in stunning detail. The P4000 is specially designed with the performance that is necessary to drive immersive VR environments. Additionally, you can create massive digital signage solutions of up to thirty-two 4K displays per system by connecting multiple P4000s via Quadro Sync II2.